Maxim Lighting Essentials Collection Bath sconce has aluminum construction with satin nickel finish for maximum corrosion resistance. It supports (1) 100-Watt medium base 1150-Lumen 2700K incandescent lamp for energy efficiency, superior color rendering and long life. The lamp lasts up to 2500 hours. The bath sconce extends up to 8-inches from wall. 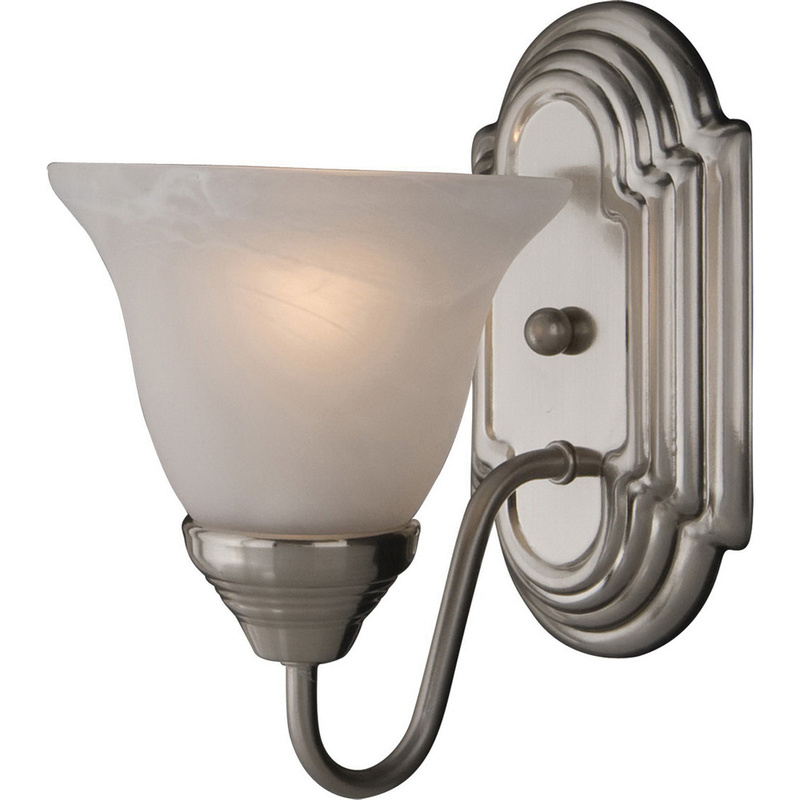 Bath sconce is UL listed and CSA certified.